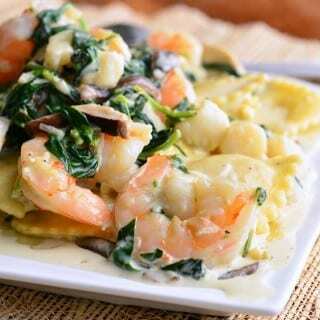 Absolutely scrumptious and comforting pasta casserole! 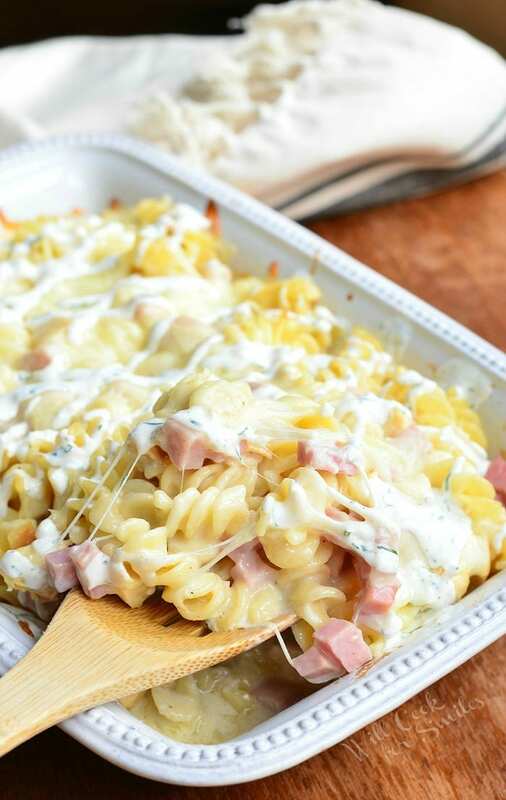 Creamy, cheesy casserole made with ham, chicken, lot’s of creamy Monterrey Jack cheese sauce, mozzarella cheese and pasta. Ah comfort food, come to mama! 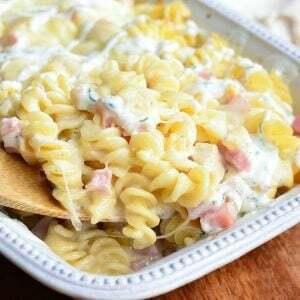 This easy pasta casserole is awesome, it’s actually like a mac and cheese and pasta casserole in one. 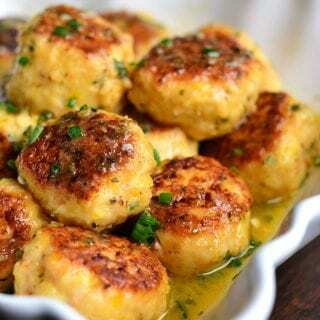 It’s made with homemade creamy cheese sauce and baked with more cheese on top. 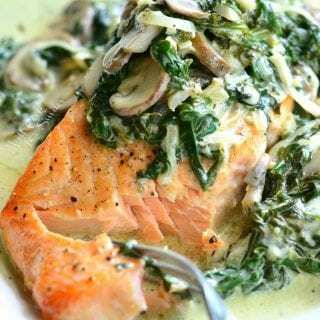 This is a dreamy dish for weekend or a week night dinner. 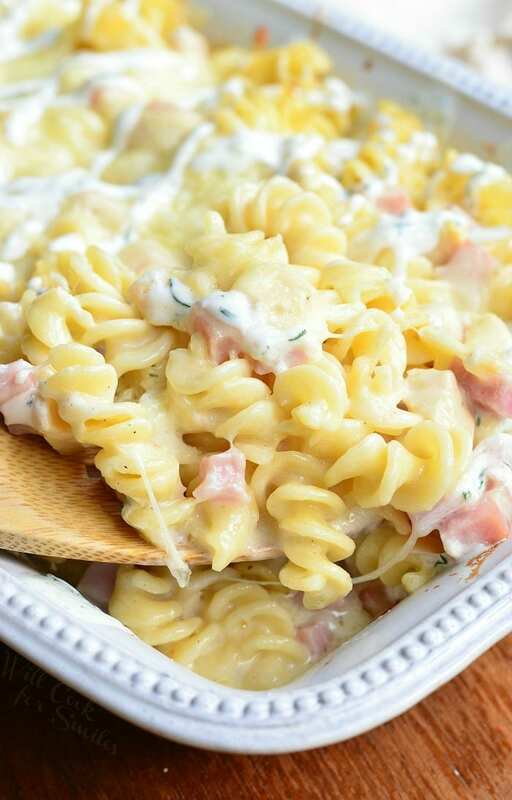 If you have any leftover ham, this is a great way to use it up too. As soon as the weather starts to get a little cooler, I want to make nothing but baked treats and comfort food. To tell you the truth, I’m getting quite baked out this holiday season. Normally I don’t bake desserts too much, I’m sure some of you noticed that I have much more savory dishes here, on the blog, than desserts and that’s because I don’t make desserts very often. I’d love to share lots of desserts with you because they are usually very well received but we just don’t have the ability, and the man power, to eat like a cake or a cheesecake every week. It’s just the three of us so I have to wait until we finish the cake or give it away. I’ve sent so many treats to work with hubs, I told them they should just hire me as a personal baker for the staff. 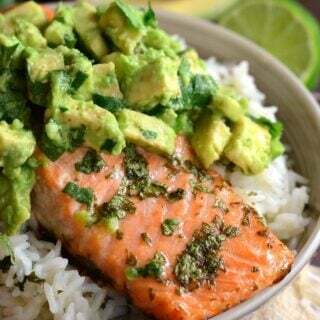 So in between all the baking, I need to throw in a comforting dish here and there. I really, really wanted a pasta casserole this week and I happened to have some ham and a chicken breast left from making stock for soup. 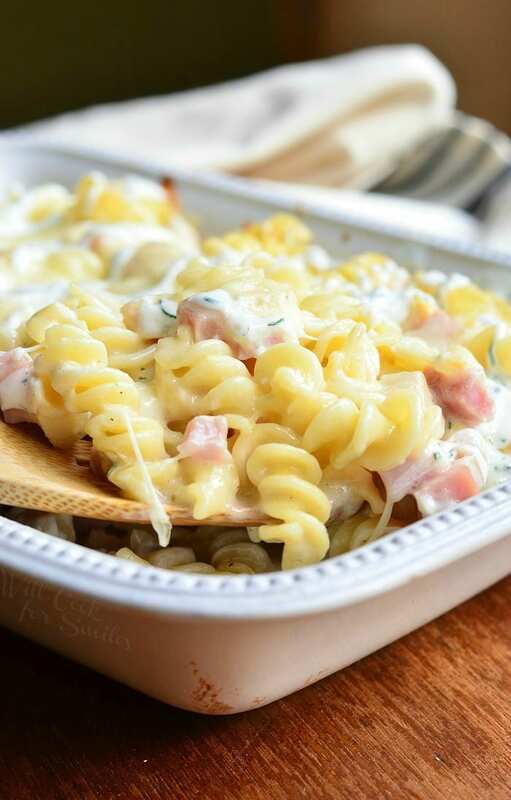 Ham…chicken…throw in some cheese and you have a tasty “chicken cordon bleu” dish. 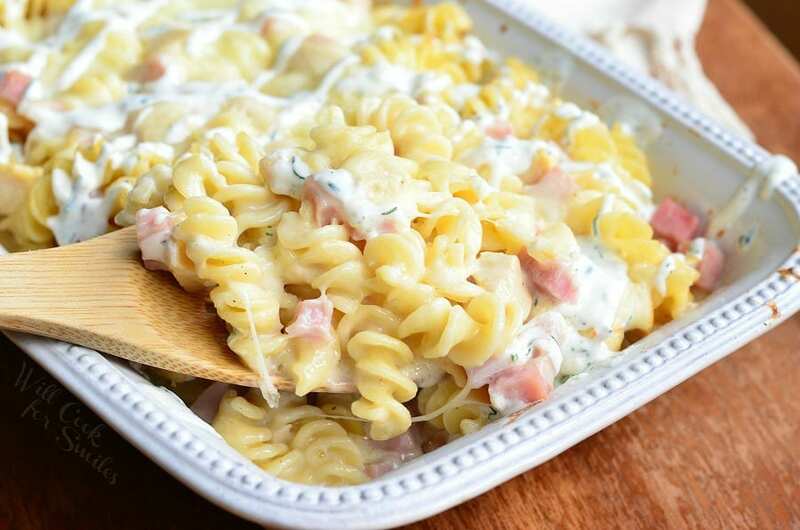 I decided to make a casserole with all the best flavors from chicken cordon bleu and toss it all in an easy homemade cheesy sauce. Homemade ranch dressing goes very nicely here, on top of this casserole. I definitely recommend making some or just use your favorite store-bought ranch dressing. 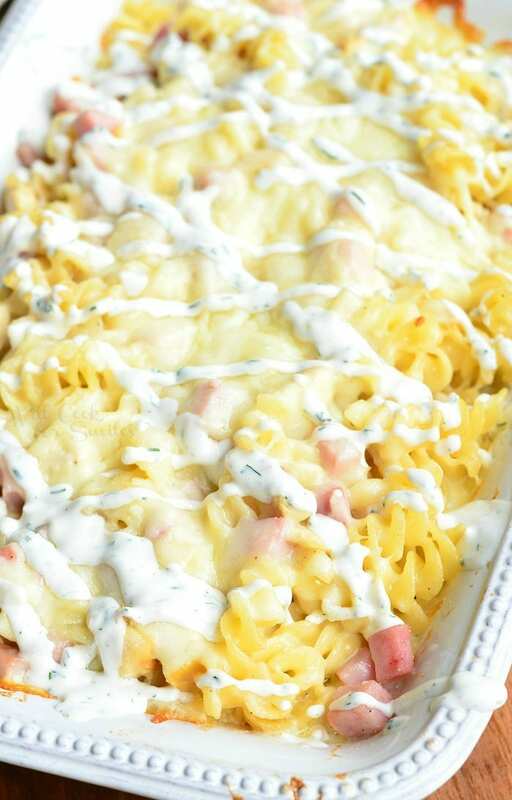 Creamy, cheesy casserole made with ham, chicken, lot's of creamy Monterrey Jack cheese sauce, mozzarella cheese and pasta. Excellent idea, thanks for posting this. I made it! So great- but I used Swiss cheese instead of Monteray Jack and I sprinkled Italian seasoned breadcrumbs on top! Thanks for a keeper! Sounds great! I’m so glad you liked it, Natali 🙂 ! 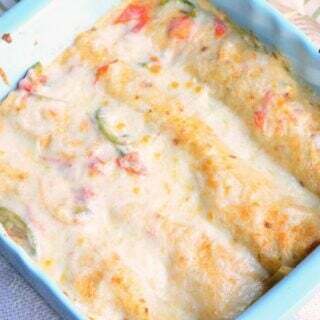 i thank to gives your Creamy Chicken Casserole recipe. Was curious if you forgot to add flour to the butter for a roux to make the cheese sauce? Mine came out runny, but will do it next time. 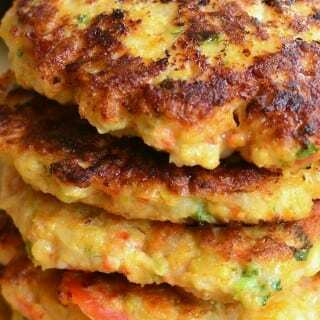 Good and simple recipe. So how much flour should be added?